Grades functional status in patients with Parkinson’s disease. Do you use the Schwab and England ADL Scale and want to contribute your expertise? Join our contributor team! Higher score indicates greater functional independence. Schwab RS, England AC. Projection Technique for Evaluating Surgery in Parkinson’s Disease. In: Gillingham JF and Donaldson IML, Eds, Third Symposium on Parkinson’s Disease, Edinburgh, Livingstone 1969: 152-157. Ramaker C, Marinus J, Stiggelbout AM, Van hilten BJ. Systematic evaluation of rating scales for impairment and disability in Parkinson's disease. Mov Disord. 2002;17(5):867-76. Shulman LM, Armstrong M, Ellis T, et al. Disability Rating Scales in Parkinson's Disease: Critique and Recommendations. Mov Disord. 2016;31(10):1455-1465. 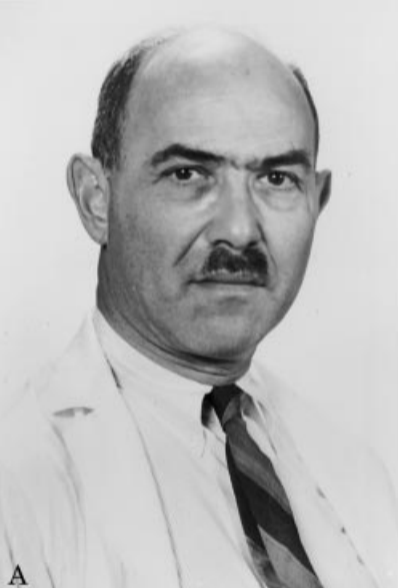 Robert S. Schwab, MD, (d. 1972) was a neurologist and professor at Harvard Medical School. He contributed to a number of key advances in neurology, including the Schwab and England Scale and the Harvard criteria for brain death. Dr. Schwab is also well-known for his role as an expert witness in the Jack Ruby trial, testifying that Ruby was likely not insane when he shot Lee Harvey Oswald.